The stage has cleared but the conversation has only just begun. The first debate was focused on domestic policy, mainly the economy, medicare, social security and health care. There are going to be a lot of people who break down the elements of the debate and determine who won on this issue and who fell short, but the reality is that this is a process and the pendulum is going to swing back and forth until polling day. So did Mitt Romney win? It is really hard to quantify whether or not he made a significant boost. Elements that did play strong for him were that his confidence stood out more than Obama (who appeared to be a little caught in thought at times), he seemed to keep the President off balance and he stuck strong to the Republican perspective on the role of government in a way that probably captured some interest from the undecided voters. Mitt seemed to be much more on the attack than Obama throughout each topic. In contrast, Obama appeared to be more on top of the specifics of his plans. With health care, tax and deficit balancing and the role of education, he clearly articulated how he planned to help continue the recovery effort in America. When talking about medicare and social security, he made a better impact with addressing all Americans and not just those who are currently using the systems. On the economy, Obama did continue to misquote the “plan” that Romney has been promoting but he was definitely strong in his attack on the “how” of Romney’s plans to find and close government loopholes and allowances. Both candidates appeared to agree on some of the issues. Taxes do need to be reformed and reduced. Education is a pathway to help prepare our working and advancement-seeking populace. Supporting small businesses is vital to the nation’s growth, as it finding ways to make taxes less of a burden. So where were the fails? Romney was nebulous with his concepts of his plans. There was a lack of details. He attacked Obama without proving that he had something more significant to contribute. Obama had a great chance to drop in the 47% comments that have been plaguing Romney for the past several weeks, but there was not even one mention of it. He also stuck to the same statements on a number of occasions and sounded a little more like a broken record than Romney did. 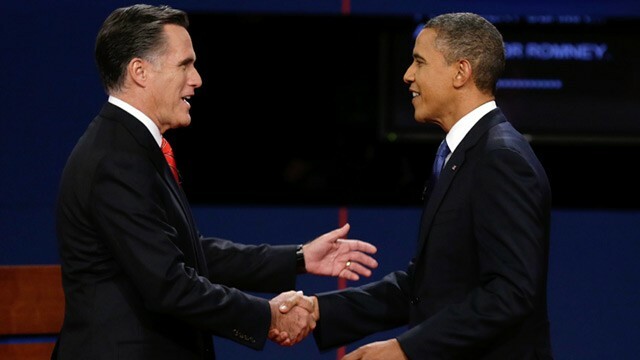 In the end, I would say that Romney took the upper hand but did not pull a dramatic grand victory. The reality is that these were incredibly important issues that only raised the same questions that anyone who is paying attention want to have answered. Does Obama’s plan for the economy have enough life to continue to turn back the damage of previous administrations? What is Mitt Romney’s plan for any of the issues discussed tonight? Are the states really able to take on the responsibilities of programs like health care and medicare? My opinions as to who is the right candidate have not changed because this debate did not give either candidate the strong front lead. At the same time, Obama still wins with me on social policies and equal rights. He wins with education. He also still wins with foreign policy. Still, the next two debates should bring some more light to the right choice. And it is not okay to say that you are choosing the lesser of two evils, just as much as it is not okay to say that you cannot vote because you don’t feel like it matters or the candidates are not good enough. The road to recovery needs leadership but that leader is not doing it alone. There is a democratic process in place to support the sharing of ideas and the ability to make your voice heard. It is time to start listening more and thinking critically about issues.